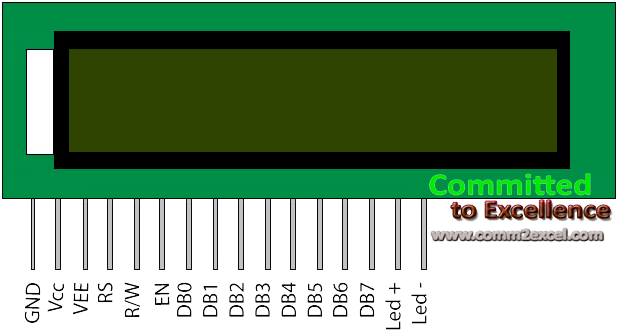 Normally, a character LCD has 8×5 dots character size, but this library allows you to combine two rows to make larger fonts using the same 8×5 dots character LCD, this library can work on different sizes including 16×2, 20×2, 16×4 and 20×4 Character LCDs, using the 4 bits data bus. if inverter=true then all fonts using render_big_msg("text",x,y); command will be inverted. 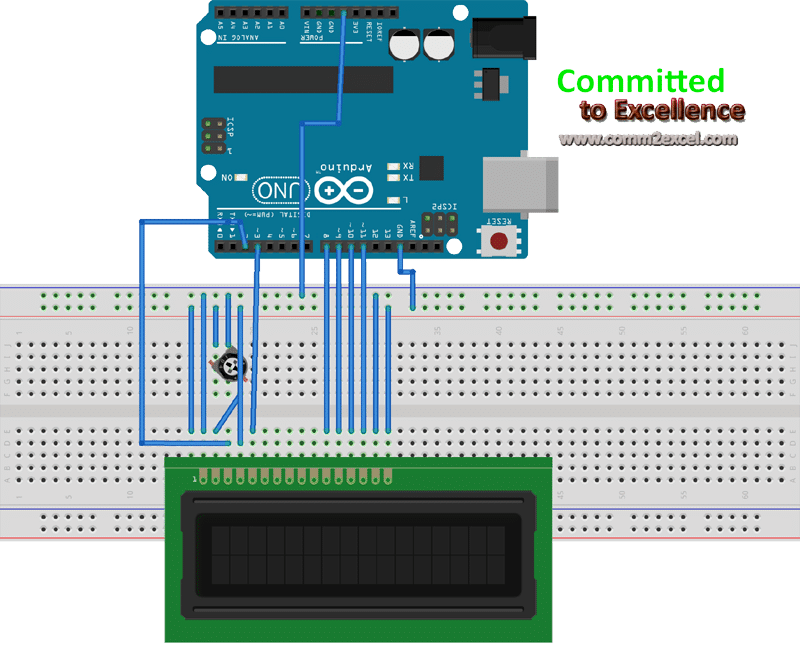 All other LCD commands like setCursor, clear etc are same. 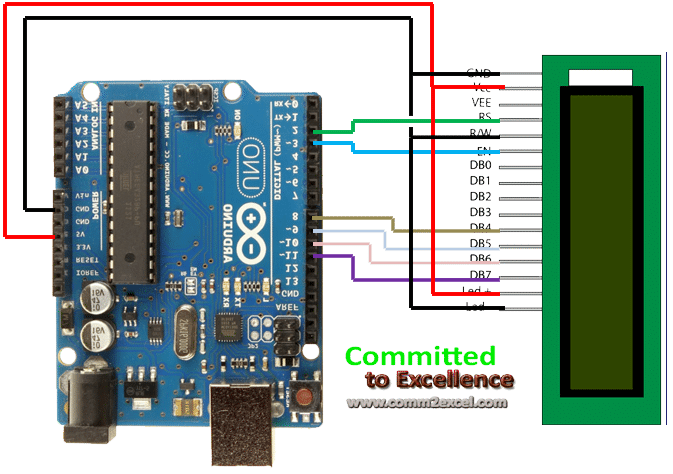 The code and connection diagram given below is also compatible with any character LCD, whether it is 16×2, 16×4, 20×2, 20×4 etc., In code, you just have to edit. // Invert display polarity for the next loop. This article was earlier posted on comm2excel.com but it is now offline, hence re-posted here.